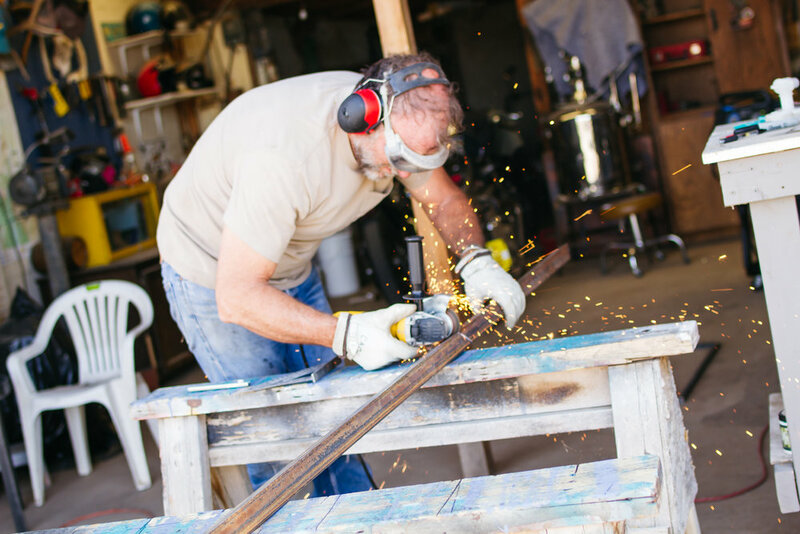 What started as an modest interest quickly turned into a dedicated hobby between father and son, Stefan and Chris Schaefer. 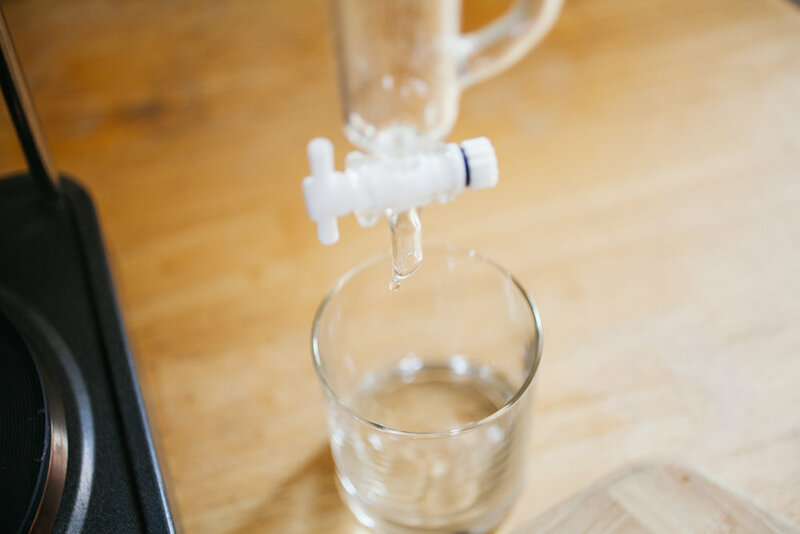 A fuel alcohol distilling permit and a promise to use our distillation products only for use in our home farm equipment allowed us the freedom to experiment with sources of fermentable products and to refine our process and our efficiency of bringing to life fine spirits. As our passion for distilling spirits grew, we applied for our federal craft distilling permit and it soon became obvious that our 8-gallon still made from a converted milk pail was far too small to produce the quantity we wanted. As native Cruceños, we also wanted to find a way to contribute something unique to our amazing community, and we decided to investigate the possibility of opening a craft micro-distillery. With inspiration and guidance from our good friends Peter and Zach at Still Spirits in Albuquerque we began the long process of federal and state permitting, business planning, building design and the development our budding distillery. After buying a 26-gallon column still, which is still in use today, anything and everything was experimented with. Earthy sweet Honey Mesquite pods from our local desert West Mesa, pomegranates and peaches from our yards and our neighbors, fresh red chile from the valley, and prickly pear fruits from the local ditch banks all went into the fermenter and stills. While we live in a region that others might think of as dry and desolate, we know the abundance of local fruits and produce in our surrounding region that are ripe for drink making! Several long years later and Dry Point Distillers was mature enough to open. Our love for the desert and the local Desert Peaks inspired our name and our hope to capture the subtly rich spirit of the desert in a bottle. Keep up with us on Instagram to join us for tastings of new products, tours and events. Thank you very much for your interest and support! It all started with whiskey, that amazing amber colored drink. Trying to make a passable whiskey turned into trying to make a good and great whiskey. Bourbon, high rye, 100% corn whiskey, expedited aging in small barrels, native grains and other local flavors were fed into the stills. Fermenting grains and distilling good whiskeys opened the door to other aged spirits. A chance meeting with a local wine grower landed us with some unfinished wine and soon we were experimenting with brandies. Local grapes, peaches, pomegranates, prickly pears; we were surrounded by fermentable fruits waiting to be mashed, cooked, pitched, stilled and aged. Vanilla, coconut, smoke and leather flavors from the barrels mixed with the sweet fruity profiles from the distillate gives us some amazing golden spirit flavors. These complex flavor profiles led us down another rabbit hole of flavor making; creating gin. Gin making, as in brandy making, leaves the distiller lots of room to play with. 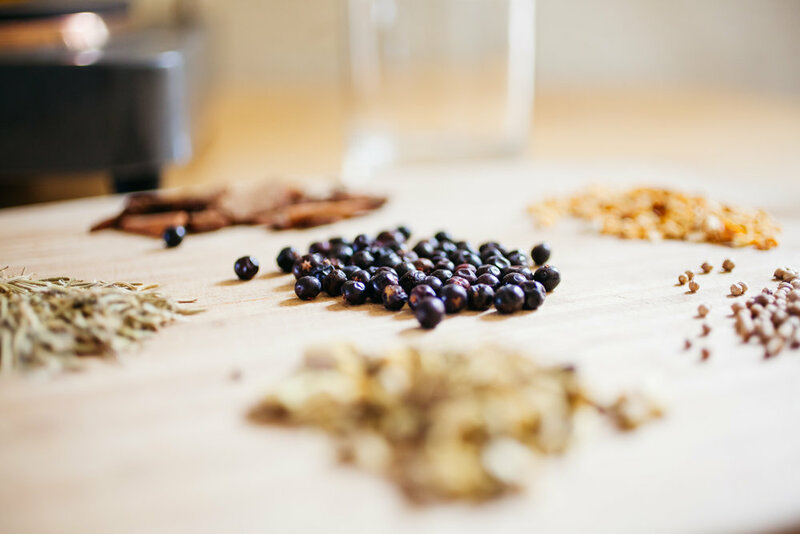 There are few rules with gin making (notably that half your botanical bill must be juniper berries) so the experimenting began. Standard herbs like cassia, angelica, licorice and coriander are used along with dill, rosemary, red chile and pinon. All were added to the mix with amazing results. As a requirement of making gin, we had to make vodka first. Gin is simply vodka, a neutral spirit, with a dramatic flavor kick! With vodka, both the distiller and the drinker want a pure and clean product, one that holds no flavor over from its fermented source. 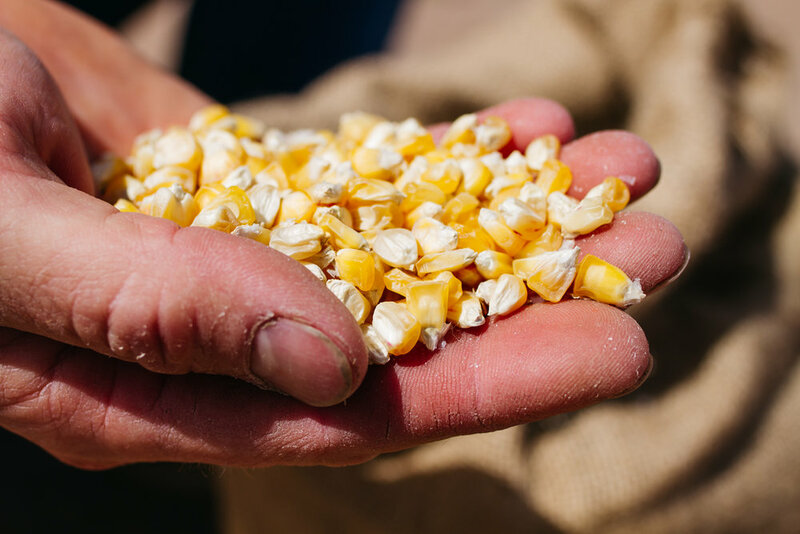 So we source the finest yellow corn vodka for our stills to make the cleanest product possible. After the vodka is purified through the stills 6 plates, we run it through a small pack of carbon to filter out impurities. Our vodka drinks and mixes clean and lends itself to making an excellent gin to enjoy straight or with a choice mixer.